One of China’s most prolific writers, blogger Han Han will soon put his directorial debut to the big screen. 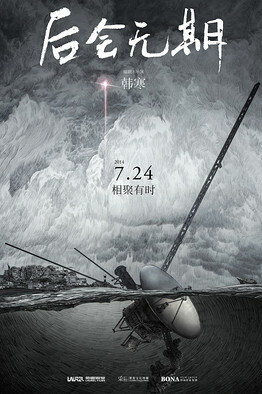 “Hou Hui Wuqi (Never to Meet Again),” a movie about a cross-country road trip by a group of young people that Mr. Han started working on earlier this year, is expected to hit Chinese theaters on July 24. The film features a slate of popular actors from mainland China and Hong Kong, as well as an appearance by Chinese director Jia Zhangke. Mr. Han, who Time magazine dubbed China’s literary bad boy, enjoys nearly 38 million followers on Weibo. His popularity helped the film’s trailer garner more than 1.5 million views in just five hours after it was released Thursday morning. The film has also ranked among the most trending topics on Weibo for the past two days. 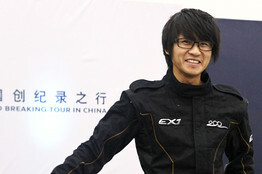 Han Han poses during a Peugeot sport car promotional event in Chengdu, Sichuan province. “Directing a film was on my to-do list after I turned 30 years old,” the 31-year-old said at a media event in Beijing on Thursday. “Now I love making films. Laurel Films/ Guomai Culture Media/Bona Film Group. Though vague on other details about the film, he hints that it will showcase his rebellious side, as he usually does on his blog and in his novel. China’s box office has been swept by a number of young directors in the past two years, including Vicky Zhao’s “So Young” and Xu Zheng’s “Lost In Thailand.” The two installments of “Tiny Times,” a romantic-comedy by another well-known writer-turned-director, Guo Jinming, both ranked among last year’s highest-grossing films, though they have been controversial among film critics. Like all directors in China, Mr. Han must deal with China’s notoriously harsh censorship, but he remains optimistic.